The Flip Box Carousel enables you to create a carousel where you can reveal the back content of the card slide with a flip animation on mouse hover. Fully responsive and 100% customizable. Easy to embed into your WordPress website via a shortcode. 1. 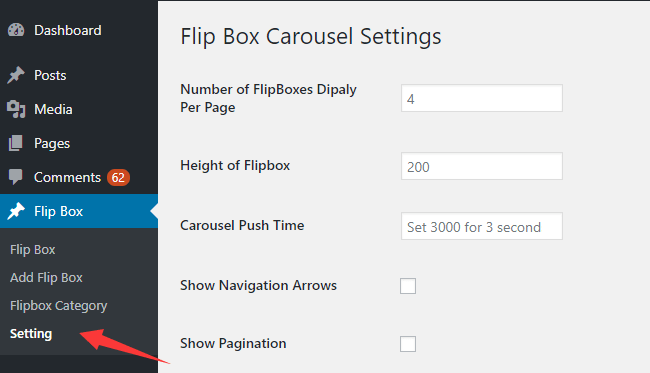 Install and activate the Flip Box Carousel on your WordPress website. 2. Create a new Category for your carousel. 3. 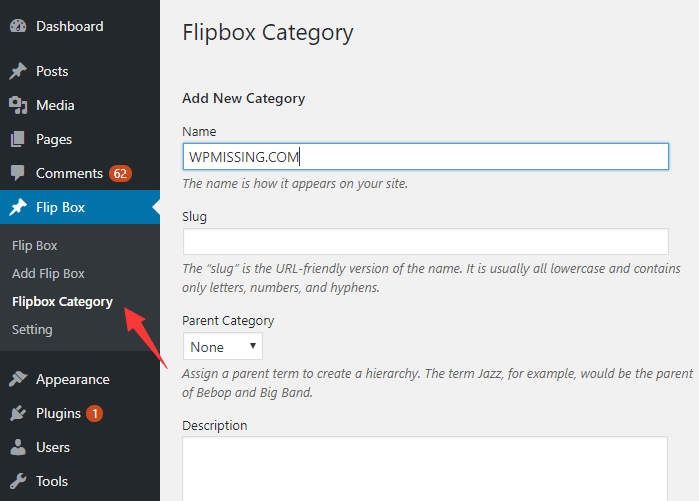 Add a new flip box with the following settings to the carousel. Frontside Heading: Add a heading for the frontside of the flip box. Backside Heading: Add a heading for the backside of the flip box. Frontside Content: Add content for the frontside of the flip box. Frontside Image: Add Image for the frontside of the flip box. Backtside Image: Add Image for the Backside of the flip box. Backside Content: Add content for the backside of the flip box. Backtside Button Text: Add Text for the Backside button of the flip box. Backtside Button URL: Add URL for the Backside button of the flip box. 4. Save the flip box and add more flip boxes as introduced in Step 3.